Diabetes can play a major role in the way that one’s body and mind ages. As people with diabetes age, it becomes harder to maintain the same care regimen, as an array of issues may present themselves, such as a higher risk in hypoglycemia or changes in hormones. 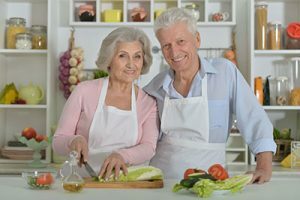 Despite the struggle to maintain healthy diabetic care over time, there are many ways in which those with this affliction can adapt and stay healthful and youthful as they progress into old age. With the use of a few modern-day practices, people don’t have to succumb to unnecessary issues caused by their illness and can take control of their condition as they age. Now that there are better ways to manage this disease, challenges and complications are at a low, and diabetic people are living longer than before. When individuals have problems with diabetes treatment, the aging process can appear to speed up. 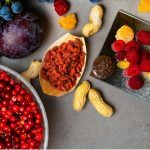 There is evidence that shows that having high blood glucose, a popular issue that may arise in diabetic individuals, can mimic the natural effects of aging. When glucose does not break down properly, it affects the metabolism, which speeds up the aging process. Decline in growth hormones also leads to premature aging. Other complications that can contribute to the aging process are diabetic nerve diseases, such as arthritis, diabetic eye disease, which worsens eye sight, diabetic kidney disease, or when kidney function declines, and cardiovascular disease, which can age any tissue in the body by cutting down blood supply. Not only does this condition cause premature aging, aging can also be a large factor in diabetic care. As one ages, it makes the disease more difficult to control. Resistance to insulin becomes an issue, as well as a decrease in glucose tolerance. 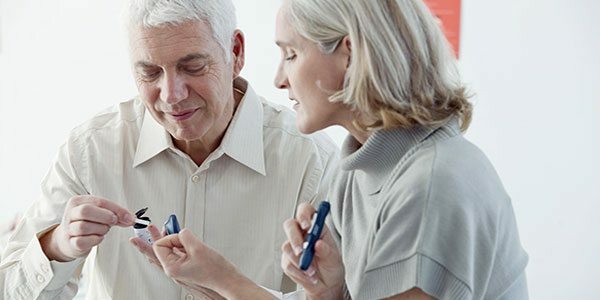 The ability to focus goes with age, so managing tasks associated with dealing with diabetes, like monitoring carbohydrates and blood glucose levels, may become difficult. Loss of vision due to diabetic eye disease may make it harder to monitor diabetes as well. When one becomes older, they become more susceptible to hypoglycemia because of the use of other medications for non-diabetic related conditions. Individuals also become less likely to release hormones that protect themselves from low blood glucose levels. This is called impaired glucose counter regulation, where diabetic individuals are unable to feel symptoms that coincide with low glucose levels, so they will not know that levels have fallen until it is too late. Metabolism may slow down even more due to lower liver and kidney function, making it possible for medications to stay in the system for longer than needed, thus hindering health further. Taking control of diabetes during old age may sound difficult, but counteracting some of the effects brought on by this condition is possible. – Monitoring glucose levels is one of the most important things to ensure health in old age, as well as monitoring blood pressure and cholesterol. Simplifying treatment and self-monitoring can help to ensure that one remembers to follow their health regimen. – Staying active will help reverse the effects of aging, as it will help to speed up the metabolism and increase aerobic capacity. More intense exercise can increase muscle mass, help to deter other illnesses, lower blood glucose levels, and promote weight loss and better bone density. – Having a healthy diet can help too. By sticking to a meal plan that maintains blood glucose levels, one can take control of their diabetes. – Sleeping, taking the correct medications, keeping in contact with one’s doctor, and staying mentally fit can also be helpful in maintaining the disease as one ages. While aging is inevitable and having diabetes can speed up the process, one can take control of their diabetes, and thus slow the visual signs of aging, by monitoring glucose levels and taking care of their body and mind. Re-evaluating one’s plan to fit with the limitations of age is a great idea so that one can live a long, healthy, and happy life.